The choice is simple: would you prefer traveling with someone who may visit your travel destination a couple of times a year OR with someone who knows the region and the country inside and out, and has chosen to make it home? Because we are truly flexible! We offer a wide range of services that can be tailored to meet your specific needs and desires. Instead of offering inflexible tours in countries we barely know, we concentrate on what we know very well: France, Spain, Italy and Switzerland. Our vacation services range from independent self-guided trips to expertly guided tours and self-designed custom holidays. We can arrange for luggage transfers, bicycle rentals, special restaurants, and diverse interests. Whether traveling individually, as a family, a group, or a cycling club; whether the expense account is lavish or the budget limited; and whether the objective is to tackle the highest mountains like a mountain goat or meander along mellow country lanes at a snail’s pace, we have something for everyone and we'll work with you to find exactly that! Our clients praise the quality of our services, as you can read in our Testimonial Page. We strive to provide the best possible service to make the most of your holiday. Most of our clients are repeat customers who come back again and again and refer us to their friends. To extend our gratitude and thanks to our loyal clients for their contribution in helping us grow, we launched our ‘Friends of Friends’ reward program. Forget the non-descript and indistinguishable big chain hotels; we use genuine places with local charm. Most of the properties we choose are family-run, ranging from actual farmhouses, to converted B&B homes and chateaux, to wine making estates. Some are so intimate that they have as few as two rooms, while others are small hotels. All properties are run by people who have a passion for their region and its cultural, gastronomic, and historical heritage. We go out of our way to find these places for you because these are the types of experiences we would want. Because there are people behind Cyclomundo! We are a small company and we intend to remain that way. Our staff is passionate and knows what they’re talking about. As you will see from this website, very little is automated. When you send us a request, you won’t get an automated e-mail with attachments and a booking form! We’ll take the time to answer your questions and address all your issues. As you will see if you book with us, we don’t even ask you for your payment information at the time of booking… only when the tour is 100% set up, so you’re 100% satisfied! 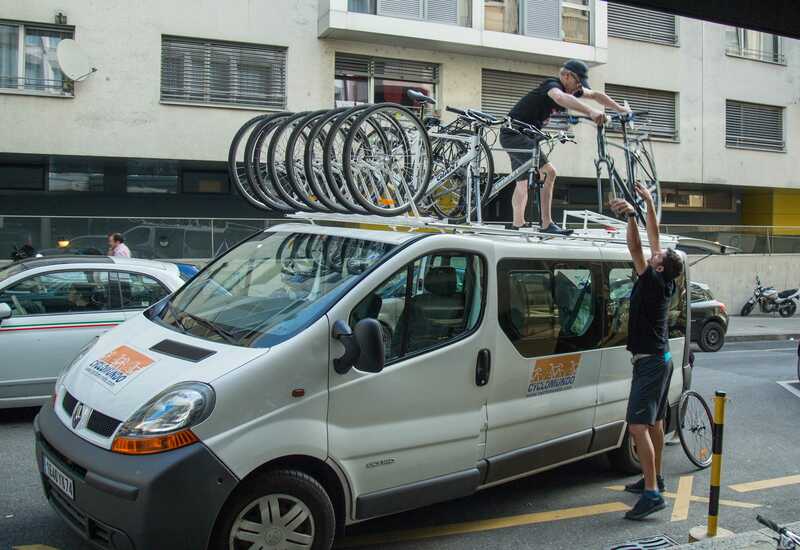 Cyclomundo was hand-picked to become an Official Tour Operator for events such as the Etape du Tour, the Marmotte, and the Alpes Open Tour. It is often agreed that the Etape du Tour and the Marmotte are two of France's most prestigious cyclosportives (mass cycling events). Whether you choose a leisurely or challenging tour, our accredited quality of service will be extended to you. Because we love cycling and France! And Switzerland! And Spain! And Italy! Cyclomundo is truly a labor of love and it shows! The founder of Cyclomundo has had a lifelong passion for cycling, in addition to his 20+ years of experience in travel and tourism. This combo is reflected in his attention to detail, commitment and choices of route/region. 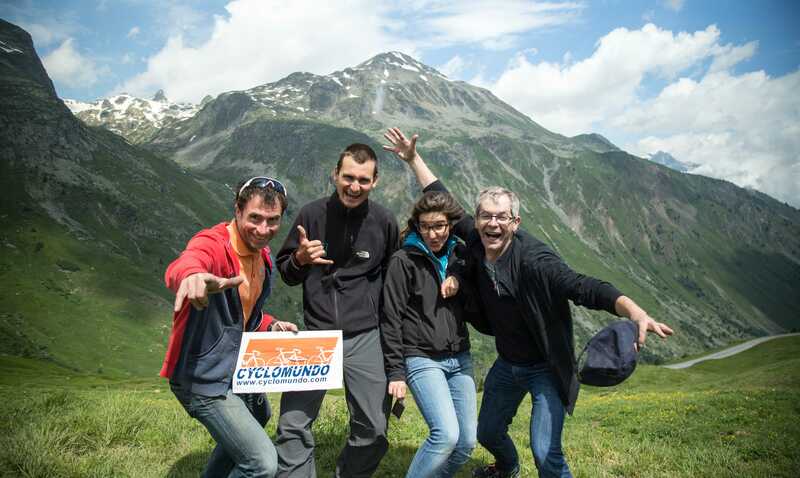 Employees at Cyclomundo commute by bike daily and find enjoyment in regularly exploring our surrounding area by bike. We at Cyclomundo want to share this vision with you, as well as our passion for the heritage, culture, and gastronomy that these marvelous countries have to offer. As firm believers of sustainable development, we have established a friendly network of professionals, comprised mainly of local tour guides, small operators, and family-run agencies. Most of our people have created their own jobs/enterprises in order to live their passion for the region and cultural heritage. All have extensive travel experience and have lived in various places before falling in love with the area they now call home. Traveling with us guarantees that you will be cared for by these professionals who chose to build their lives here.